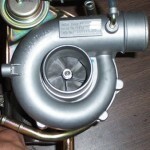 In order to make an informed decision when purchasing an aftermarket turbocharger, the consumer needs to avail themselves of the different types of turbochargers first. To this end, we will discuss the various types of turbos on the market. These are just the basics of turbo information though. 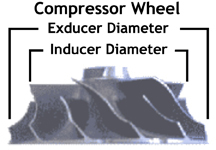 Please do not confuse this as the main source for turbo information as there are many other factors to an informed turbo choice such as compressor maps, matching the turbo to your displacement, etc. 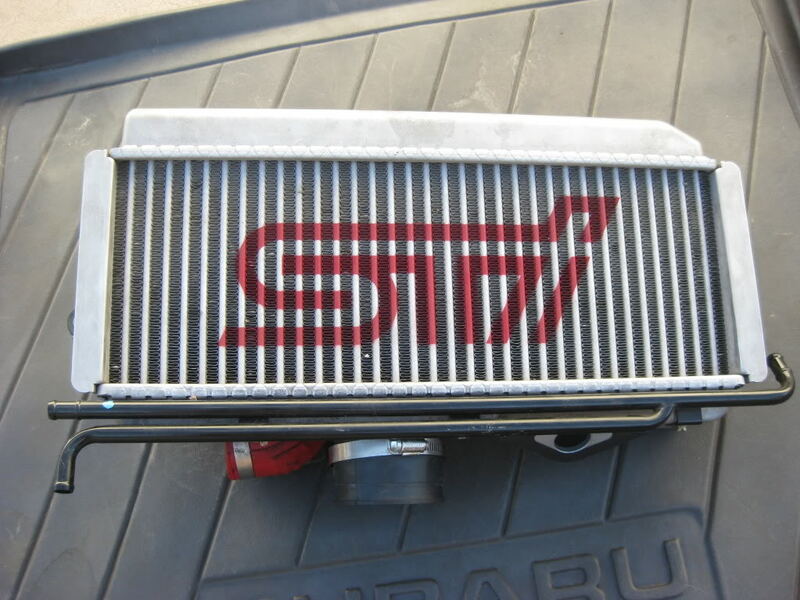 For the best advice, please consult an experienced turbo vendor and/or your tuner. A regular turbo is, in essence, a pump that forces air into your intake system. 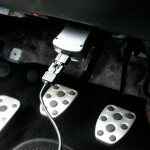 The end result is a denser air charge that will produce more power vs. naturally aspired vehicles. The only downside is that more power produces more heat, and the engine’s internal components must be properly suited towards turbo charging. Upgrading this unit to a larger one is the easiest route in terms of time, trouble, and expense. 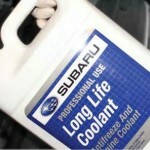 Common upgrades for all turbocharged Subaru models include the VF-30/34/22 and 16/18/20G. 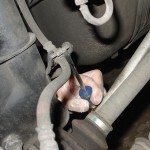 A twin scroll turbo is designed to be used on an equal length exhaust set-up. By internal turbo design and having all the exhaust gases enter the turbo at the same time, this allows the turbo to spool faster vs. an equally sized regular turbo. This is a very important point as many people are confused by the marketing hype of twin scroll set-ups. 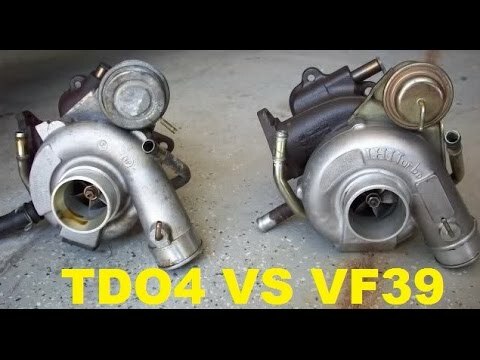 When comparing a twin scroll turbo that will flow say 500 cfm vs. a normal 500 cfm turbo, the twin scroll should see full boost sooner. So if there are two suitably sized turbochargers, with one being twin scroll and one regular, the twin scroll unit may be your best choice if you do not mind the extra exhaust expense and prefer faster spooling. 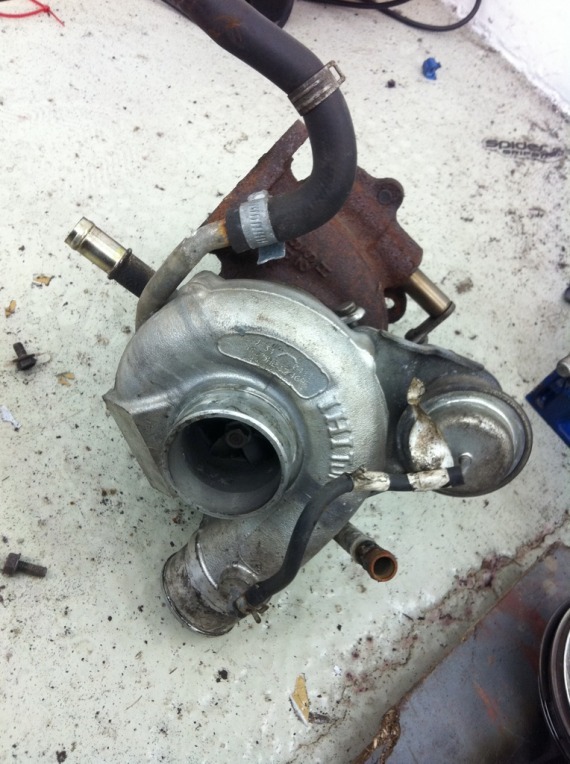 This type of turbocharger requires more expense than a simple upgrade though. The biggest concern is the use of an equal length header, proper uppipe design, and the possible use of a different oil pan to accommodate the new twin scroll exhaust piping. Quirt Crawford of Crawford Performance recently did some testing on a GT32 twin scroll turbo Legacy to test the theory about the importance of exhaust flow to a twin scroll unit. When he switched from the correct equal length header and uppipe to a traditional unequal length header and normal uppipe, he saw degradation in turbo response by 750 RPM. This should be word to the wise to anyone who thinks they can avoid the expense of the correct exhaust components and still see the quicker spooling benefits of a twin scroll turbo. Another consideration is the change in exhaust tone. An equal length header required in a twin scroll set-up sounds entirely different than an OEM or aftermarket unequal length header. 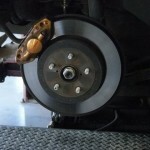 To fans of the familiar boxer rumble, equal length headers are just not an option. It may sound silly, but for many, this reason alone is enough to keep them from buying a twin scroll turbo. 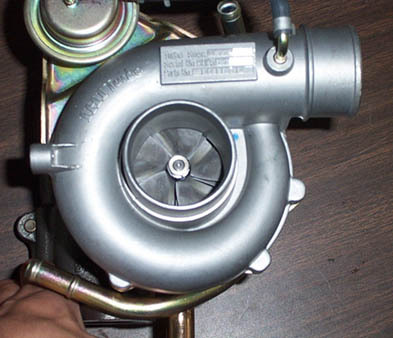 A rotated mount turbo is any turbo that’s physical size prevents it from fitting in the stock location and must be mounted at a slightly different angle. Most of the turbos that fall into this category are of the larger variety. 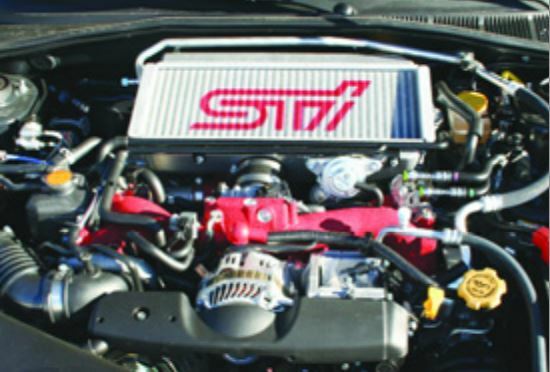 Many require custom piping, a front mount intercooler, external wastegates, custom tuning, tumble generator valve deletes, and other technical or expensive upgrades to support it. Most would consider this type of turbo to be outside the scope of the average do it yourself person and should be farmed out to a professional or at least utilize one of the kits supplied by various manufacturers. As well, many feel that when going this route, strong consideration should be given to fully built motor, or at the very least, forged pistons. Rotated mount turbos produce large amounts of power and though there is no magic horsepower number for switching to forged internals, the larger rotated mount set-ups seem to be commonly used on built motors.